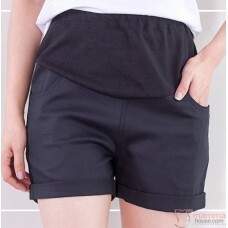 Korean design simple & nice design maternity shorts. Cool cotton maternity shorts. With tummy design adjustable wasitband, moms may wear until baby born. . Comfortable and suitable for all stage.